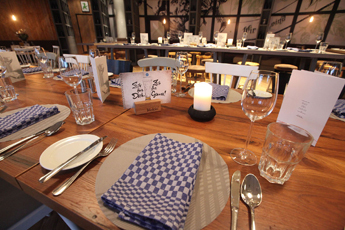 An attractive event venue that is easy to reach? A feel-good atmosphere that stands out due to many clever technical features? An individually tailored offer that not only covers rooms, but also catering, accommodation as well as a supporting programme? A flexible and professional organisation that offers superior solutions for big as well as small requests? 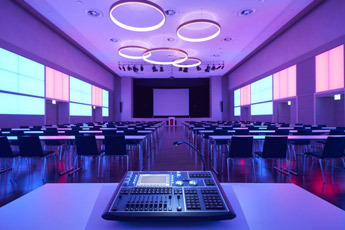 The Dortmund Congress Centre fulfills the highest expectations in the business sector! Please find all important information on our room offers, catering and conference flat rates, delivery information as well as certifications and statements here. You will find information on how to get to us, parking, stay and overnight accommodation, barrier-free access and an overview of our restaurants, cafés and bars here. 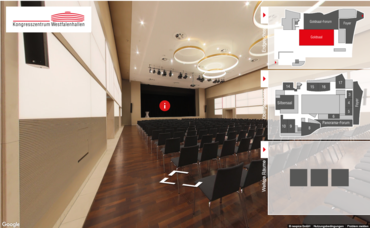 Please do not hesitate to contact us, if you have any questions about the Congress Centre. A convention is a good communication platform, but it is also ideally suited to present products and services with a promotional purpose. The large lobby spaces of the Congress Centre offer plenty of room for exhibitions accompanying the event. In addition, you have the possibility of combining rooms – or one of the neighbouring exhibition halls – with multi-functional spaces (e.g. for workshops or meetings). Over 8,000 car parking spaces on the Westfalenhallen grounds make it possible for participants and delegates to reach the venue quickly. 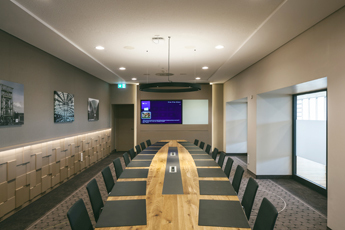 For accommodation, the Mercure Hotel Dortmund Messe & Kongress Westfalenhallen is at your disposal among others, from here you can reach Dortmund’s Congress Centre directly from the breakfast table! The state-of-the-art technical equipment ofat the Congress Centre is impressive. For example, rooms can be connected online to use applications together or to the company network. For this, we offer flexible transmission rates for wire-less networks in high bandwidths – making fast communication possible and speeding your business. Whether it’s about the tiniest detail or the big picture: Experienced project managers support you in carrying out conventions, conferences and company events. Our professional decades of experience in event management; they always keep a close eye on costs and offer worry-free service in the true sense of the word. What’s special about this is that right from the beginning you have one dedicated account manager, who is committed to you and supports your clients’ most diverse wishes. 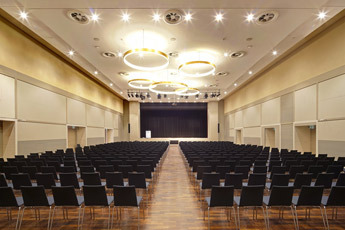 The Dortmund Congress Centre’s culinary offer is broadly diversified.Thus at conventions, conferences and company events, the in-house catering enjoys serving small snacks just as much as serving meals with several courses. And the buffet at the barrier-free restaurant Rosenterassen is inviting as well. Here a range of service stations take care of large groups. Welcome to the Dortmund Congress Centre!